Available in four sizes: short, medium, long and mini. You have a choice of metallic, matte metallic, or black. 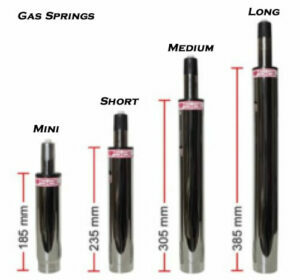 The mini gas spring is for special circumstances only, its use is not dependent on the user’s height but on the working height. Chair height ranges vary somewhat between chair models.